The Buffalo Bills will play their first home game of the season this Sunday against the Chargers. (The last time those two teams played, Nathan Peterman threw five picks in a half.) 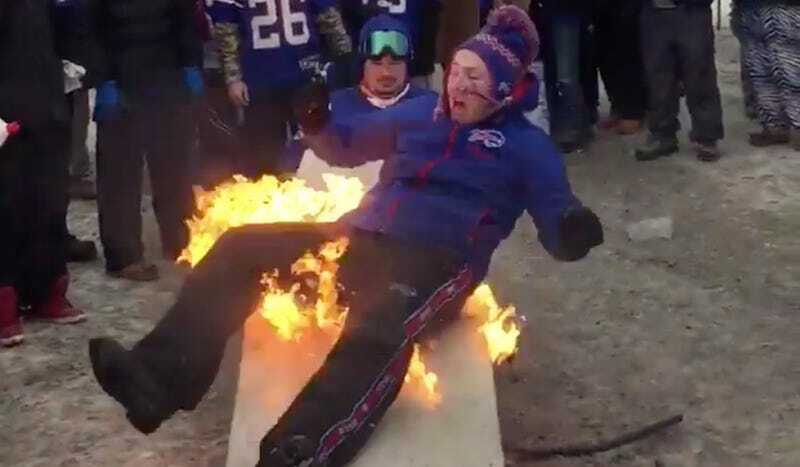 Hordes of Zubaz-clad Bills fans will presumably mark the home opener as is tradition: by getting mega drunk and trying to obliterate any flimsy furniture in their path. There will be slightly more resistance to their behavior this season. Table slamming will not be permitted and those who violate the rule will be ejected and could face criminal charges. Good luck getting these Wildlings to stop their rivalry with tables. It’s the strongest one associated with the team.